Satisfaction is of extreme importance to us and our years of experience and market expertise as resume writers ensures we rarely make mistakes. We enjoy a long and trusted relationship with our clients, and do this through a clear and transparent process. If you don't receive a single interview after 30 days... In the highly unlikely scenario that your new resume simply isn't getting you any results, we will gladly review and re-write the resume at no extra cost. This guarantee period is for 30 days, and we treat any lack of response as a new challenge. Enjoy a partnership not just a product We enjoy open communication with our clients from the initial booking stage right through to the resume review; and in making final adjustments (all included in the price). For many, we also provide after-support through our own market insight into how the recruitment market behaves. These are just some of the awards we have won on an Australian and International level. We pride ourselves on being No.1 in what we do. All documents sent through such us resume, CV, cover letters, job descriptions, transcripts and alike are strictly confidential. All items are stored on a closed server with no 3rd party external access. We only share communication with the point of contact that you provide. Roland Coombes sits on a specialist advisory board for the CDI International Resume Writers & Careers Association; a leading industry body. We fully adhere to the RCSA Best Practice guidelines, the leading industry and professional body for the recruitment and the human resources services sector. All regions across Australia including; Sydney, Melbourne, Brisbane, Canberra, Adelaide and Perth. Full international and ex-pat résumé services also available. 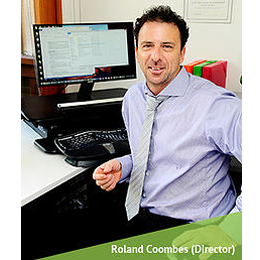 itouch has been the brain child of Roland Coombes, an HR, Talent & Recruitment expert. The vision of itouch has been to provide an affordable, yet highly effective CV Resume Writing Service to Australians”. Since conception, itouch has helped over 7,000 clients secure new jobs (through their resume/CV) and we are well on the way to making that 10,000! By remaining independent, Roland Coombes (Director and Resume Writer) has successfully hand built a small team of specialist resume writers who reflect the commitment and values that itouch stands for. Our mission is to provide high-quality resume services at an affordable price; whilst focusing on quality-management and that all important "return on investment". Yes, we have won numerous resume writer industry awards, but we are only as good as our last project. Our reputation has been built through hard work, results and service excellence. Did you know? - the number #1 reason we are in this job is... "the feeling we get from helping our clients' achieve their success", a truly rewarding experience that never fails to satisfy us. We've been helping clients like you across Australia with securing their dream job. Please take time to read through each section and understand what makes our resume services and writing so unique. Any more questions? Then please Contact Us.